Google Glass, recharged and ready to go? Google Glass began life as a controversial technology when it was first released by Google over 5 years ago. The wearable smartglasses immediately raised a range of concerns about social acceptability and privacy. While the initial roll-out of Google Glass was dogged in controversy, leading to the termination of the early Explorers program, recent developments suggest that the future may be bright for Glass, its new shortened name, and other smartglasses. In a world where many other smart headsets have come onto the market, such as Microsoft Hololens, a device that is 10 times heavier, and where bulky virtual reality headsets are seen with excitement and a sense of “coolness”, the original Glass seems relatively meek in design. Several different groups across the world have been studying how Google Glass may function as an assistive device, for example, helping blind and partially sighted people navigate their physical environment. However, much of the focus has been on how it may help children and adults with autism, a neurological brain difference that affects 3.5 million Americans, to improve their social skills. Having difficulty in social interaction has been described as one of the most fundamental challenges for people with autism, and scientific research has shown that people with autism may struggle to identify facial emotions, non-verbal communication, and pay attention to other important cues in social situations. This is where Google Glass shows the most potential. The light weight glasses can collect video and audio data from around users, analyze the data with the right software, and provide visual and audio guidance to the users to help them improve their ability to interact socially. Peer-reviewed research has shown that this approach may improve social communication, conversation skills, symptoms related to attention deficit hyperactivity disorder (ADHD), and potentially even job interviewing skills. It is important to appreciate that there is a range of software in development, including software that can allow Google Glass to read human facial emotions, and help users to coach themselves to improve their own emotional understanding. Other software can use augmented reality visual effects to guide users to pay attention to faces, and also to provide virtual 360 environments of places that users have difficulty transitioning to, such as different classrooms. What could also be a game-changer is the ability of Google Glass to collect a large amount of user data through a range of inbuilt sensors, and these data can be sent to a digital cloud to be analyzed, helping to generate numerical reports of performance and learning. Over the last year, there have been a range of scientific findings about how Google Glass can help people with autism, with the research coming from grant-funded organizations including Brain Power / Harvard , the University of Toronto, and Stanford University. Firstly, there was research to suggest that the initial social stigma in wearing and using Google Glass is not a problem for students with autism who want to use the device at home and in classrooms. In fact, students found the form factor of a specialized Google Glass system for autism to be both desirable and usable [Forbes]. Two different research groups have shown that actually using a Google Glass system for autism is a practical and feasible prospect [Frontiers in Psychiatry; Applied Clinical Informatics]. Secondly, researchers from the University of Toronto noted that Google Glass with specialized software may help students to improve their conversation skills through a series of prompts, allowing the device to be a digital conversational aid [ScienceDaily]. In a real-world study of Google Glass in a public school, teachers found benefits to using a specialized version of Google Glass for social skills based on their hands-on experience [Educational Sciences] and through scientific scales [Frontiers in Education]. Over 30% of children with autism may also have ADHD, and can struggle with hyperactivity, poor attention, and impulsive behavior. In one study, Google Glass was linked to decreased ADHD symptoms in a sample of 8 children with autism [Medscape]. 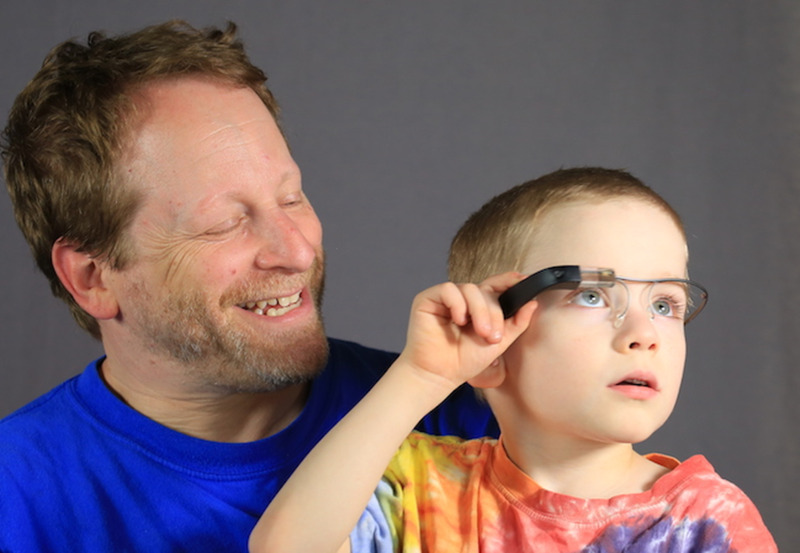 Finally, preliminary research has been published to suggest that Google Glass technology is both well tolerated [JMIR] and has not lead to any major short-term negative effects when used in people with autism [Journal of Clinical Medicine]. While much of the research to date has been promising, it is important to always adopt a cautious approach to any assistive technology. Just like much of the research world, studies are best when they are methodologically robust and replicable. It is also important to appreciate that autism is an enormous spectrum, consisting of people with a range of abilities, strengths, weaknesses, and of different ages, backgrounds, and experiences. A technology that may work for one individual may not work as well for another. It is clearly apparent that using technology as an assistive tool has been very empowering for the autism community, and it is my belief that this trend will continue. Disclaimer: I conduct research and am part of a grant-funded neurotechnology company [Brain Power] that builds artificially intelligent and augmented reality technologies for people with autism (including Google Glass software), special needs, traumatic brain injuries, and a variety of other brain/mental health conditions. I receive no funding or other support from pharmaceutical companies. Dr. Arshya Vahabzadeh the Chief Medical Officer at Brain Power, a Federally and Congressionally supported neurotechnology company using artifical intelligence and augmented reality to help build assistive technologies for health and education. Dr. Vahabzadeh is trained in family medicine, psychiatry, and child psychiatry by the Royal College of General Practitioners, Emory University, and Harvard Medical School/Massachusetts General Hospital respectively. He is former faculty in the Department of Psychiatry at Harvard Medical School, and is the Innovation Officer at the Massachusetts General Hospital Psychiatry Academy. He has been widely published in authoritative texts on cognitive enhancement, neurobiology, neurocircuitry, neuromodulation, and psychopharmacology, and peer-reviewed scientific journals including the American Journal of Psychiatry, The New England Medical Journal, JAMA, Brain Research, Neuropsychiatry, and the Journal of Psychiatric Practice. He is the former editor-in-chief of the American Journal of Psychiatry Residents Journal. He has been an invited event speaker at Harvard Medical School, Health 2.0, Stanford Medicine X, Partners Connected Health Symposium, The Digital Health Summit, Google, MedTechBoston, and Autism Speaks. He has been the recipient of over 20 national and international awards including the ACP Laughlin Fellowship, the AMA Foundation Excellence in Medicine Leadership Award, and the APA Leadership Fellowship. He has been federally supported through a NIMH/AADPRT BRAIN Scholarship, and a SAMSHA/APA grant focusing on autism. He has been honored as a “40 under 40” healthcare innovator by MedTechBoston, and was one of only ten people globally to win the Khan Academy/American Association of Medical Colleges/Robert Wood Johnson Foundation MCAT Video competition. He is an avid fan of excessively long biographies, green tea, and modern history.